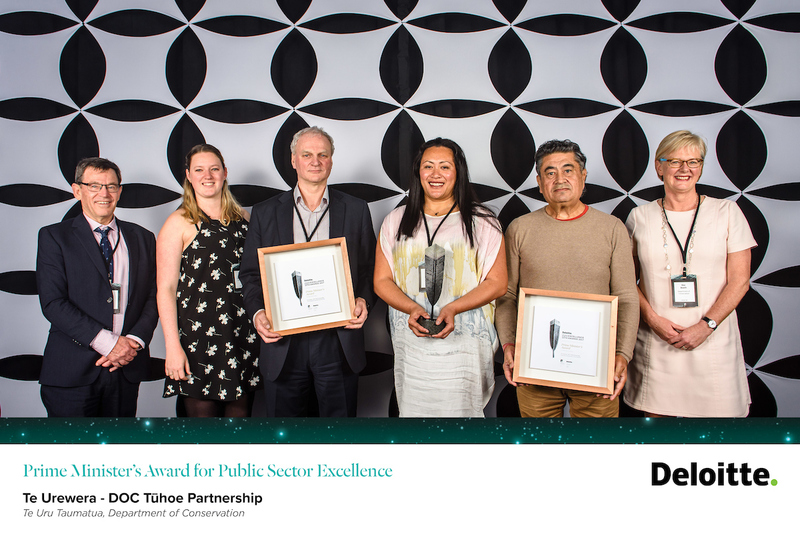 Te Urewera - DOC Tūhoe Partnership won the Prime Minister’s Award at the Deloitte IPANZ Public Sector Excellence Awards 2017, held in Wellington last night. Working collaboratively, the Department of Conservation (DOC) and Tūhoe implemented ground-breaking new Treaty settlement legislation, which granted Te Urewera legal personhood. The former national park, comprising over 2,000 square kilometres of native forest, has the same rights and powers as a citizen – a first for New Zealand. This has led to more Tūhoe employed in Te Urewera, more visitors to Te Urewera, and innovative DOC practices, including secondments with Te Uru Taumatua. The Young Professional of the Year Award went to Genevieve Rainey, formerly a lawyer with the Department of Conservation. She will receive an all-expense paid trip to attend a one-week leadership course run by the prestigious Mt Eliza Business School, in Melbourne. View details on all of the 2017 Award winners.